Where to get the best quality heavy duty ratchet straps? 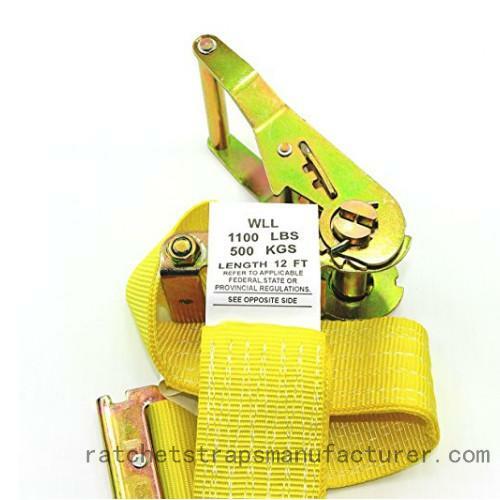 Home > News > Where to get the best quality heavy duty ratchet straps? For commercial and residential purposes, it is very common to choose a variety of belts and straps. You may look for considerable number of ratchet straps. If you are one of them, you will get the best quality heavy duty ratchet straps directly from the ratchet strap manufacturers online. Whether you are looking for a range of premium quality heavy duty ratchet straps or any kind of other belts to bind something tight to load or unload or for any other purpose, you will have some better options of fulfilling your requirement by going online. There are numerous renowned heavy duty ratchet straps manufacturers and suppliers who have been designing and developing a variety of straps for various commercial and residential purposes. You can choose the right one that is convenient for you and fulfill your requirement. Welldo Tools Co.ltd, an online ratchet strap manufacturer, located in Ningbo Zhejiang, is a one stop reliable ratchet straps company bringing you a variety of straps, belts and similar other accessories. You can buy such accessories in bulk for commercial and residential purpose. These straps and belts are ideal for those who are running stores in their countries or working as wholesalers. You need to choose the one that is ideal for you.